Everything you need to start the 2018-19 season right! 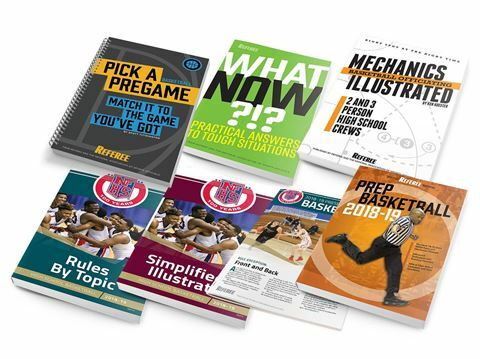 With this hand-picked package you'll get all recent and updated rule & mechanic changes, all official NFHS Points of Emphasis explained in detail, easy-to-use breakdowns of advanced rules and mechancs PLUS our brand new guide to basketball pregames. ALL THAT FOR ONLY $49.95 - YOU SAVE $27 - THAT'S A SAVINGS OF 35%!